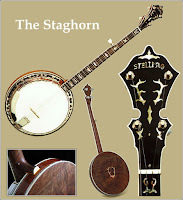 The Bluegrass Ireland Blog: Stelling Staghorn wanted - by whom? Stelling Staghorn wanted - by whom? There must be at least one Staghorn somewhere in this island; but an owner might be reluctant to have contact data given out to an anonymous enquirer. So please - if you're the person looking for a Staghorn, send me by e-mail your name and address; and then anyone who may have one can get in touch with you about it.